Twitterati with political agendas (especially Jim Murphy and staff of sundry opposition politicians) have been deprecating military careers in any Scottish Defence Force. Their argument is twofold: 1) more grievous losses to units and their identities would happen under independence than now; 2) no-one with real military ambition would join such an insignificant force. In contrast to the US Army, soldiers enlist in geographically-based regiments of the British Army and remain there for their career. This builds loyalty and unit cohesion: soldiers live, fight and come to trust their comrades. Morale and cohesion being prime military virtues this is a major reason why the British Army has a formidable reputation, with Scots units (the “Ladies from Hell” as some unfortunates on the receiving end dubbed them) second to none. Add in some support units and these remnants of once-proud military tradition cannot be said to have prospered. At the end of this blog is a brief catalogue of cuts the UK Government has visited on famous Scottish regiments over the two centuries since Waterloo. There are now more Scots regiments in the Canadian Army than in the British. Seventeen proud histories crammed into one regiment of five battalions, one of which will face the axe next year is an appalling record of MoD indifference to what made those units famous in the first place. The most ludicrous of fig-leaves conceal what has been lost: the superbly unconventional Lovat Scouts now exist as a cap badge for the Orkney Cadet Force. Phillip Hammond has recently promised to ‘protect cap badges’. Does it matter that we have lost such names as Seaforths, Cameronians, Gordons, HLI, Scots Greys, Fife & Forfar, KOSB, and, soon, the Argylls? Not to Whitehall, obviously. But what if a Scottish Army believed in and restored pride in such glorious names? What if it revived the fierce courage that once made bagpipes strike more fear into the bad guys than artillery barrages? What if a Scottish Army, built around a half-dozen regiments of tough infantry, determined to uphold centuries of proud tradition, were trained for deployment in the world’s trouble spots as light infantry, special forces, anti-terrorist and other 21st century military tasks? Would such top troops not be in demand? And, given the frequency of skirmishes (as opposed to conventional wars) would that not be how soldiers could see the world and officers make their mark? Declan Power, a journalist and veteran of the Irish Defence Force wrote this week “We (Irish) have become specialists in low intensity conflicts, peacekeeping and peace enforcement and Irish and Scottish military tradition is very similar.” He was responding to a Scotsman newspaper article written by MoD advisor Hugh Strachan, who seems to think that mass armies and massive defence budgets were the only options. Freed from ludicrously expensive items like nuclear submarines, aircraft carriers, main battle tanks and global deployment, Scotland would be a far more useful partner in the world than the British manage at present. They would also be far better placed to defend crucial North Sea infrastructure than the ludicrously overstretched UK forces are now. All of that—including revitalising Scottish regiments and their personnel—could be done on a defense budget under £2bn. That’s half per capita what we pay now. Time we restored our soldiers’ pride. And what would this relatively large army be for? To be more specific, who exactly do you have it in mind to invade, or who is it that you think would invade us? If you don’t have anyone in mind as victim or villain then there’s a big hole in your plan. In our geographical situation an army is something which would exist to retain a necessary core of skills and institutional knowledge to meet future needs and contingencies rather than dealing with threats which exist today. New Zealand presumably manages to meet that requirement with the equivalent of full-strength two battalions and less than five thousand all told in their army. Since the MoD reckoned the payroll & housing costs of an infantry battalion of 600 or so at £35 million some years ago, we would be safe enough in guessing that six battalions would cost £300 million/year and two would cost £100 million. And of course supporting units would be reduced too. Now £200 million plus isn’t to be sneezed at. Looking at Stuart Crawford’s hypothetical SDF in the Times, £200 million would, based on Czech and Hungarian lease deals, go a long way to meeting the cost of replacing ex-RAF Hawks with far more capable ex-RSwedishAF Gripens. And what’s likely to be more useful in a crisis: an extra four low readiness infantry battalions or a fighter squadron with a dozen operational fast jets? Hmm. The ‘relatively large army’ you refer to is pooh-poohed by many unionists as insignificant and unlikely to attract professionals, as compared to the British Army. But I would contend that an active brigade group of three regiments at battalion strength, with appropriate artillery, logistics and support, plus specialist troops (e.g. 42 Commando as special forces/anti-terrorist and Dragoon Guards as reconnaissance) would offer handy additions to UN or NATO deployments. The ‘four low-readiness infantry battalions’ you refer to would be skeleton reserve/territorial units but would revive and preserve defunct regimental identities close to being lost in the British Army (e.g. 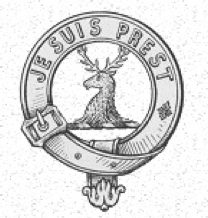 Frasers; Cameronians; HLI; Gordons). Don’t see why it need be an ‘either/or’ choice with a fighter squadron within a defence budget of at least £2bn (easily sustainable on a per capita comparison with the £3.4bn Scots pay today. But the priority requirement for any SDF would be the re-provision of a long-range maritime reconnaisance squadron in the Nimrod role and a flotilla of fast stealth patrol boats (c.f. Finnish Navy) for defence of North Sea infrastructure.